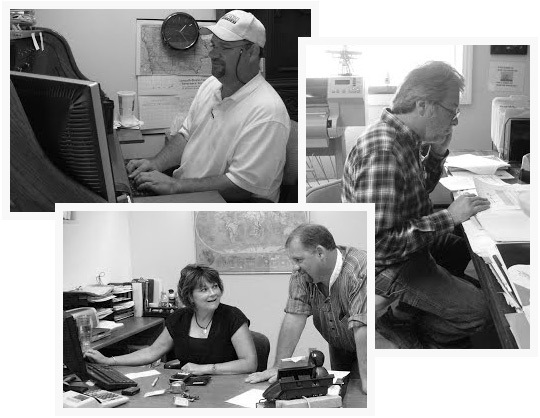 In 1986, Gus Schaus and Roger Vorhies got together to start their own contracting business. They called it Schaus-Vorhies Contracting, Inc. and their ambition was to develop a general commercial construction company. Over the years, the business evolved into other areas, and eventually they developed into other related sectors of the construction business including metal building supply and erection, commercial construction, customized industrial fabrication, construction structural steel manufacturing, metal finishing for manufacturers and assemblers, and metal cleaning for industrial manufacturing. They’ve consistently grown and today they have over 75 employees, doing construction work and other manufacturing “value added” services. They are continually adding business units to meet the demand of the changing times and modern needs. The way a business operates has important implications for their customers, their community, & the environment. For these reasons and more, we are putting special emphasis on sustainability. 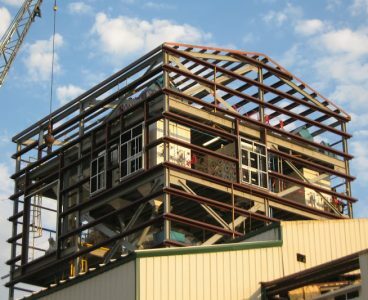 The construction industry has taken big strides in the past decade or longer toward becoming more vigilant about the impact it has on the environment. Schaus-Vorhies Companies (SVC) is stepping up our efforts to comply with the guidelines that have been established by the Leadership in Energy and Environmental Design (LEED) Green Building Rating Systems™, the nationally accepted benchmark for the design, construction, and operation of high performance green buildings. SVC completed their first LEEDS certified project in 2007. It is our goal to continue certifying more of our staff and apply LEEDS principles in every project we undertake. The second area of emphasize in our business is “value”. We’ve been working with all of our employees and some outside advisers to apply what’s known as “Lean Practices” on the projects we are awarded. Basically, it’s a method for making every step of the construction process as efficient as possible while maintaining a high quality. It’s a win-win for the company and the customer because it allows SV to deliver the best possible product for the most affordable price. It also puts SV in a position where they’re always looking for ways to improve their operations, bring fresh ideas to the business and improve their productivity. The “C” in SVC stands for companies, but also “commitment“. We are deeply committed to our employees and their families, to the customers we serve, and to the community where we live and work. Commitment means a company based on compelling values, whom everyone associated can trust and count on. We’ve come a long way to get where we are today, and we’re setting our sights on what we can do that will take us beyond the next job. We’re looking at new ventures and opportunities to grow outside of our traditional work, and make a new mark for our company and the people we serve. Bottom line, SVC is looking at how we can grow and develop in a way that really expands what we offer to everyone who is associated with our business – our employees, our customers, and our community.